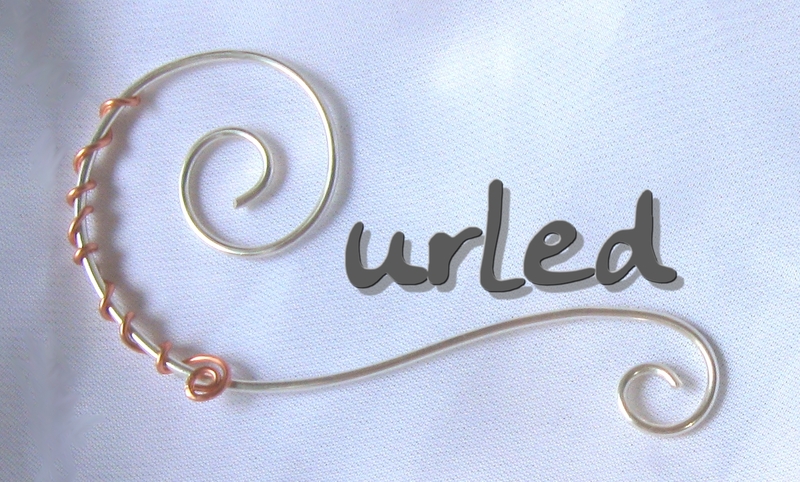 When I designed a new logo for my Etsy shop and to use on business cards, labels, etc., I created a curl out of 16-gauge sterling silver wire to use as a capital ‘C,’ and wrapped it in a smaller copper coil. I loved the result, but once I’d photographed it, I really had no use for it. Modified, however, I think it makes a rather lovely pendant. I reworked the copper, attached it with smaller sterling wire, and polished it in my tumbler. 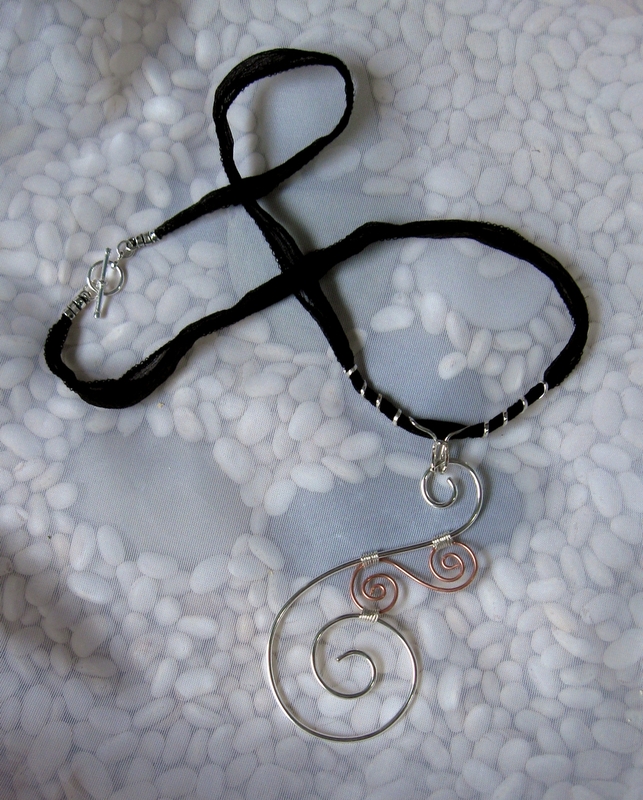 Rather than hang it from cord, which would have been fine, I tried out a pendant hanger twirled around silk ribbon. I think it works. Not sure – thoughts, anyone? Would a more simple cord be better?